Tassie raised $432.50 for Share Our Strength AND got an iPhone 6 Plus for her ECHOage birthday party. | ECHOage - Get great gifts. Give to charity. ← Jonah – age 4, believes that NO tummy should be empty. He raised $182 for Blessings in a Backpack at his ECHOage birthday party! 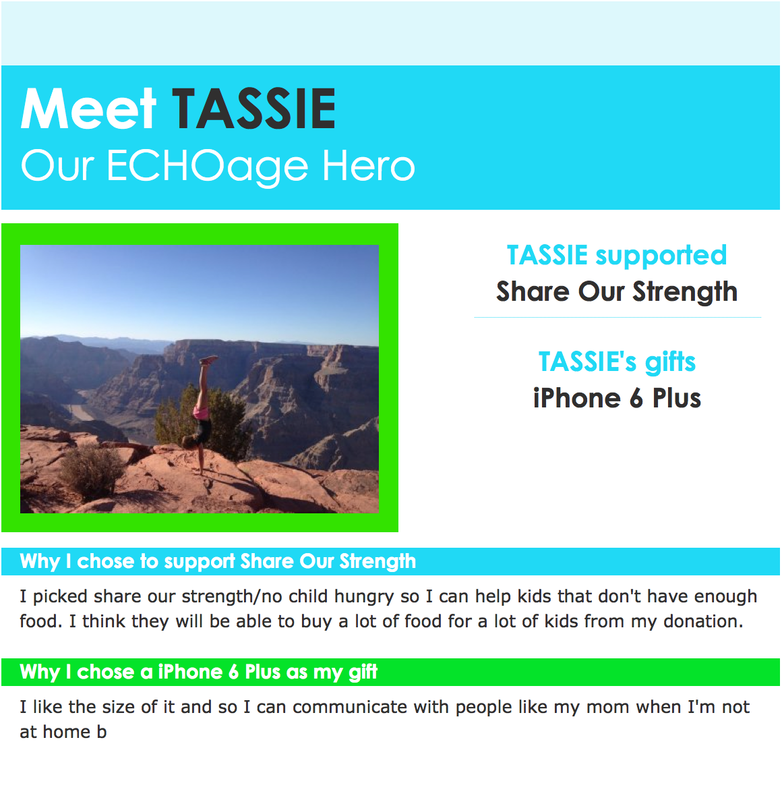 Tassie raised $432.50 for Share Our Strength AND got an iPhone 6 Plus for her ECHOage birthday party. Sounds like you had a wonderful birthday, Tassie! Congratulation for being such a young leader. Your contribution will mean so much to Share our Strength/No Kid Hungry.